I thought it may be polite to unclutter our forum friends threads from our non-motorcycle related nonsense and still maintain a level of humor and stupidity to keep idiots like me interested. I would welcome all forms of nonsense here until such time it becomes a chore or annoyance. So let er rip. Anyone with trivia or recipe for worn tire stew or drain oil soup now is your chance to post your foolishness before I get started. I’ve never seen other riders use my dead engine dirty tricks, and I’m not sure if they would be relevant or useful today with electric start use. 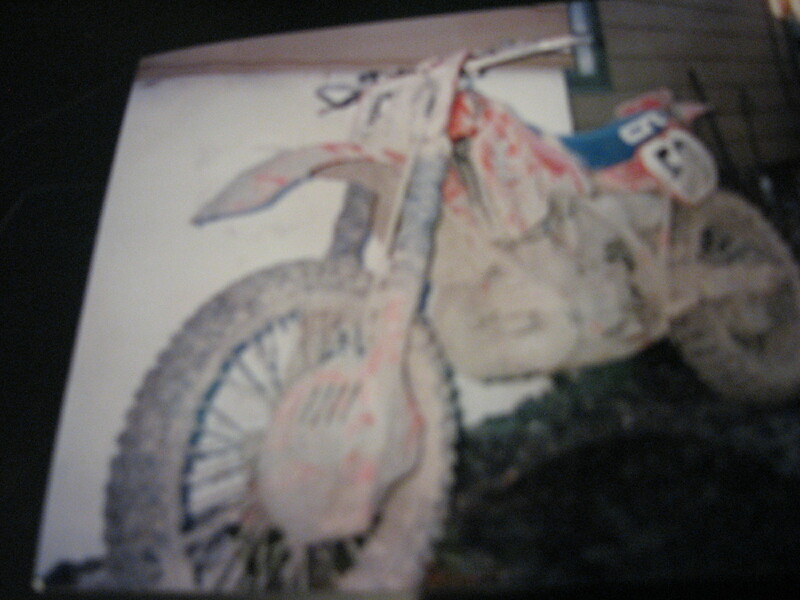 One simple easy trick was to make the bike lower and thus easier to swing my short leg over the tall seat was to take several plastic wire ties linked together and loop them through drive sprocket and around rear sub frame while I compressed rear suspension and lowered rear of bike on starting line. This lowered the bike when starting and normal rotation of sprocket cut wire tie and restored normal suspension action after bike powered away from start. It also pissed off my competitors and caused me a few protests. Sore losers!! So my next trick was to ask my wife to casually walk to starting chute after the race was well underway and pick up the bits of wire tie evidence off ground.. thanks babe!! Here hold my trophy will ya? 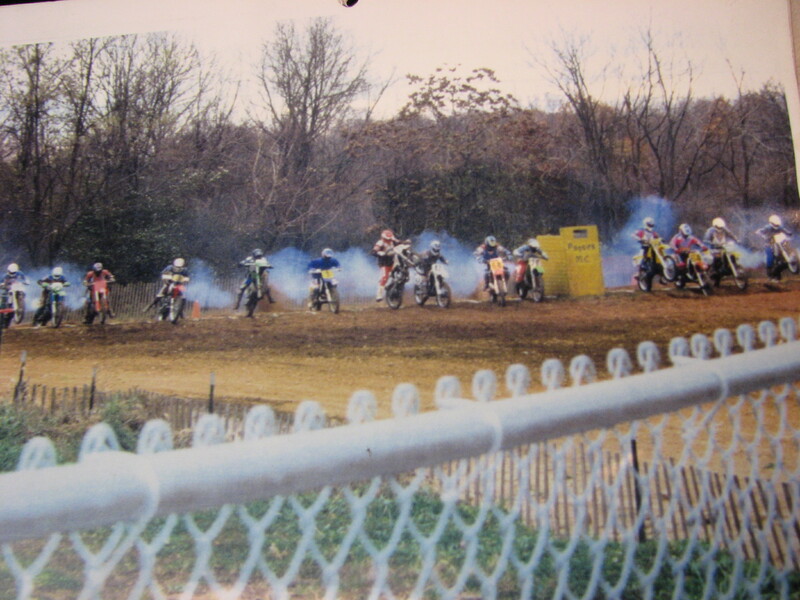 while digging through piles of old pictures looking for a few to post here i found this old local ametuer motocross start from the mid 1990s and examination of the mayhem pictured reminded me of why i practiced starts more than any other riding skill. to stay out in front of these guys. Rangerman and DW like this. I had to chuckle a bit when I saw the guy in the middle of the pack looking like he was launching a rocket ship into space. I really like that CR500! 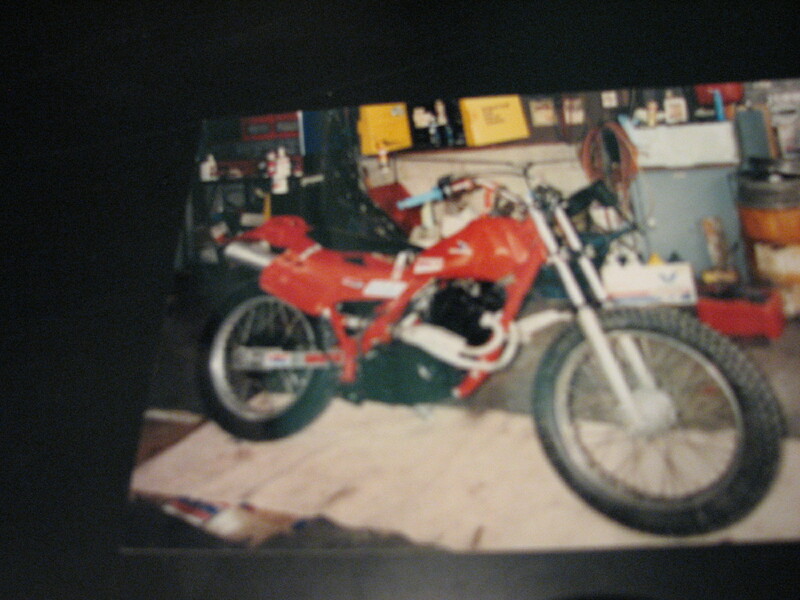 Wouldn't it be something if they would reintroduce a popular "retro" dirtbike model like they have done before in the past with street bikes? 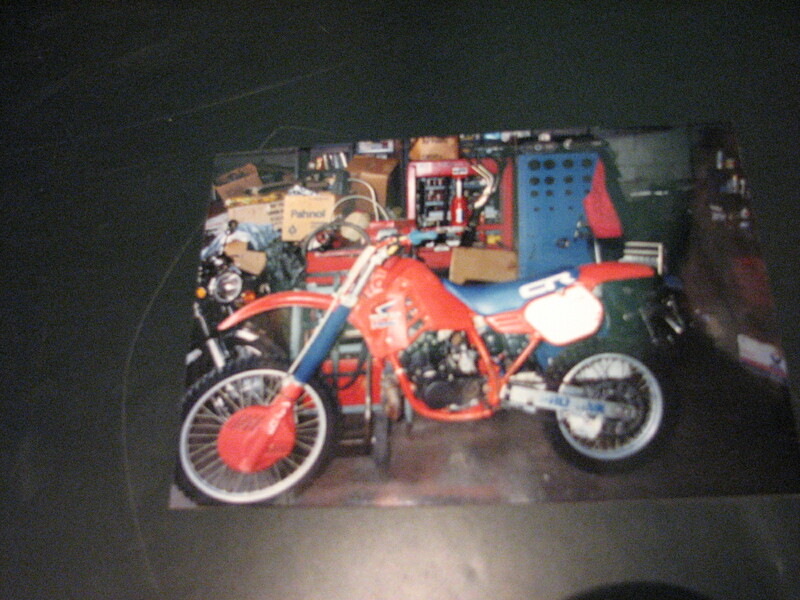 I would find it difficult to resist a new production "retro" CR500 2T!